Living a Fit and Full Life: Enjoy Your Favorite Italian Dishes with the New Prego Farmers' Market® Classic Marinara! Enjoy Your Favorite Italian Dishes with the New Prego Farmers' Market® Classic Marinara! Prego® continues to expand its ever-growing collection of sauces to better suit a world of changing palates. For over 30 years, we’ve been building upon our original recipe to create new favorites loved by all. Since the beginning, we’ve been committed to helping at-home cooks create winning pasta dishes that are simple to prepare, nutritious, and of course, delicious. Prego Farmers' Market® Classic Marinara is made the way you would with vine-ripened tomatoes, olive oil and oregano. Enjoy with your favorite Italian dishes! Enjoy your favorite Italian dishes with the New Prego Farmers' Market® Classic Marinara! Oh my goodness, if you guys haven't tried the new Prego Farmers' Market® Classic Marinara sauce you simply must! It's absolutely perfect for so many dishes and has an incredibly delicious robust flavor that adds intense flavor. My family and I absolutely love marinara sauce and use it for just about all our pasta dishes and homemade pizza. 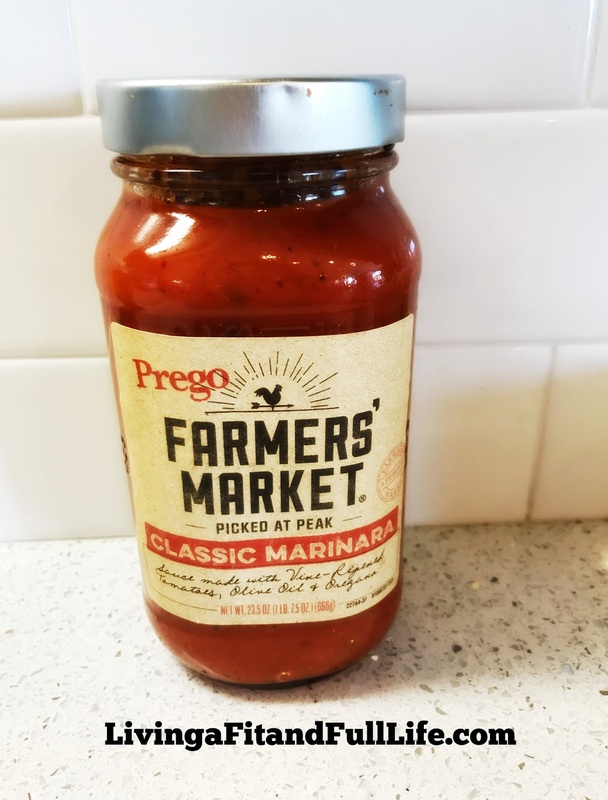 I made my famous homemade pizza with this delicious Prego Farmers' Market® Classic Marinara sauce and it was a huge hit. It took my already delicious pizza to a new level of yummy that my family and I absolutely love. 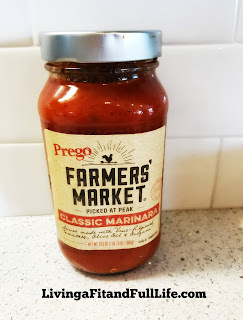 The New Prego Farmers' Market® Classic Marinara sauce is a huge hit in my house and I highly recommend it! Click HERE to find a store near you that sells Prego! Click HERE to learn more about Prego! Follow Prego on social media!